Fridkis is cool but dorky: she lives in Brooklyn but she was home-schooled. She writes candidly about not making money writing and about the difficulty of being a very introspective person who often overthinks things, which I can certainly relate to. Fridkis is also unique in that she’s married, has a child, and writes about this. I read a lot of writers my age-ish, and very few of them have and/or write about family. I don’t mean to say that young people have to write about home and family–I mean to say that I’m tired of reading about home and family only in magazines like Better Homes & Gardens. I’m not a well-to-do mother of three ensconced in a home in the countryside, but I am a married woman expecting a child who could use some camaraderie from someone under thirty. Enter Growing Eden, published by Thought Catalog. The book, which is more of a collection of essays, traces Fridkis’ experience from getting a positive pregnancy test to giving birth. She’s incredibly worried about a lot of things that I am also concerned about, like being a mother before achieving careers success (check) and thinking too much about her own career (check). Fridkis is incredibly generous with insight into her fears; the book is thoroughly honest. I was completely engaged with her experience not only because of how much we have in common (young women, living in cities, trying to make it as writers), but also because of the level of detail Fridkis shares about her own thoughts. “I have these bouts of angsty existentialism that are embarrassing even as I’m being quietly devastated by them,” she writes. Someone else might worry about, you know, being embarrassed. But sharing her innermost thoughts, her deepest fears, her sick fascinations (reading obsessively about infertility as soon as she becomes pregnant) and her ill-timed reactions (crying when she finds out it’s a girl) reveals how human she is, even if you can’t exactly relate. Writing through your own personal lens is often more revealing than trying to explain an entire phenomenon–writing a memoir about your particular pregnancy, for example, is a much better way to explain what pregnancy is like than trying to interview every pregnant woman ever. 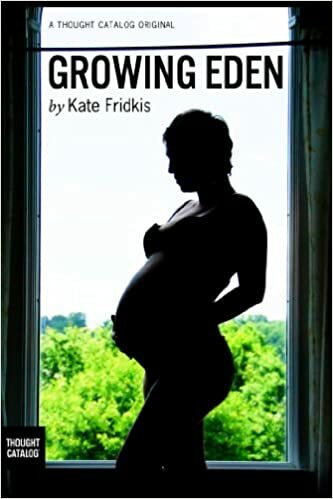 Fridkis’ insight into this one particular experience sheds light on the human experience, and gives a small picture of what it is like to grow up as you grow another human, here, now, in the US in the 2010’s. Remember that time I said I was going to review an indie ebook each month? Yay, the day has finally arrived. First up: It’s Witchcraft: A Beginner’s Guide to Secular and Non-secular Witchcraft by Jamie Weaver. The second is a song called “Meet the Witch” by a band from the 90s called Big Dipper. The refrain goes, “But you aren’t alive til you meet the witch” and it has a great clangy guitar sound. My mild interest in witchcraft began with Willow and blossomed into a mild obsession when I heard this song. I wanted to write a story about a witch set in the 90s. But I know zippo about actual witchcraft, so I started hunting for a book that would tell me about the basics of being a modern-day witch. There are a ton of big, heavy tomes out there about the history of modern witchcraft, but I wanted something that would give me the basics without too much pain. I was poking around Tumblr when I found Jamie Weaver’s book. It’s Witchcraft is a wonderful intro to witchcraft that is encouraging, down to earth and clearly written. It’s just what I was looking for: a succinct, clear explanation of what witchcraft is today, plus how to be a witch (first step: get an altar). There are well-organized instructions for rituals that are straightforward and allow room for your own tweaks. My favorite aspect of this book is how reassuring Weaver is; you don’t have to subscribe to any particular belief system, even within witchcraft, to start learning and participating in it. In fact, you don’t even need an altar; you can retreat to an “interior” altar if your surroundings don’t allow for one. I highly recommend this book to anyone curious about witchcraft; it’s cheap, and if you are embarrassed about your interests, as I sometimes am, you can hide it on your e-reader. And an aside to fellow writers: ebooks are a great way to research what is going on now in the sub-culture of your choosing. This ebook was written by a witch for fellow witches. It is not a heavily researched tome on the history of witchcraft in America, but it is an insider’s perspective on what it means to be a witch and how a witch operates in day-to-day life. Short of meeting a witch, this ebook offers excellent insight into the daily experience of witchcraft. So no matter what you are researching (archaeology! hotel owners! the French countryside!) I encourage you to do a little hunting around ebook-land for a resource written by a practitioner or expert in her field.